The right kind of fiber cabling reduces loss and contributes to an overall quicker and more efficient network. Every data center is hard set on trying to optimize efficiency and creating a functional, fast network that works when you need it to. That said, there are a lot of factors that influence how fast your network will be. Loss (or slower than expected speed or functionaliey) can come from a number of factors including the length and type of fiber cabling used or even the number of connectors which cause insertion loss. Low-loss MPO or MTP connectors are able to offer better adaptability and flexibility, but no matter what options you choose, fiber cabling will improve the rate and efficiency at which you can perform daily tasks. Still, reducing loss increases your functionality and makes your fiber cabling perform even better. How Can You Benefit From Low-Loss Fiber Cabling? Low-loss connectivity can also reduce “risk”, something all data centers are constantly trying to mitigate. For the modern data center, optical insertion budgets are getting smaller and smaller. Additionally, the architecture for layouts has flattened over time due to LANs having higher port densities. While low-loss connectivity is far from essential, it does pack a pretty big value. 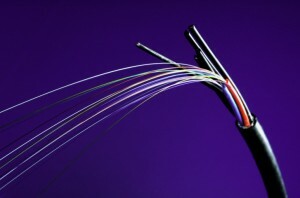 Low-loss fiber cabling options can offer greater connection options, including more connection points utilizing 10, 40, and 100 gigabit Ethernet channels. On top of this, low-loss fiber connectivity makes many processes easier and streamlined, like changing server connections between ports. We have plenty of expertise over 25 years of working with every type of fiber installation, so maybe we can help create efficiencies for your data center, too. This entry was posted on Friday, March 16th, 2018	at 12:19 pm	. You can follow any responses to this entry through the RSS 2.0 feed. Both comments and pings are currently closed.